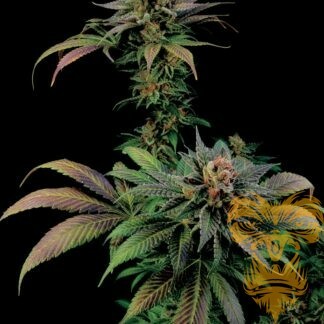 Critical Jack is a feminised cannabis seed deriving from the cross of two cannabis legends: Critical + and Jack Herer. At Dinafem Seeds, we decided to work on these two genetics because we thought that crossing them would lead to a really good thing, and that’s what happened. We’ve masterfully mixed the traits of both genetics until a strain that would reveal the three most important families she came from was created (Skunk #1, Northern Lights and Haze). In a nutshell, a high-class hybrid that deserves a very special place in any garden; an amazing reputation earned for her yield, potency, taste as well as for the incredible extractions that can be made out of her super-tasty trichomes. 1st prize in the ‘Outdoor Sativa’ category at the 2016 UCLA cup (Unión Cannábica Latinoamericana). 1st prize in the “Best Shatter” category of the 2015 San Bernardino Hempcon Cup, USA.